Paint correction is not a simple task. 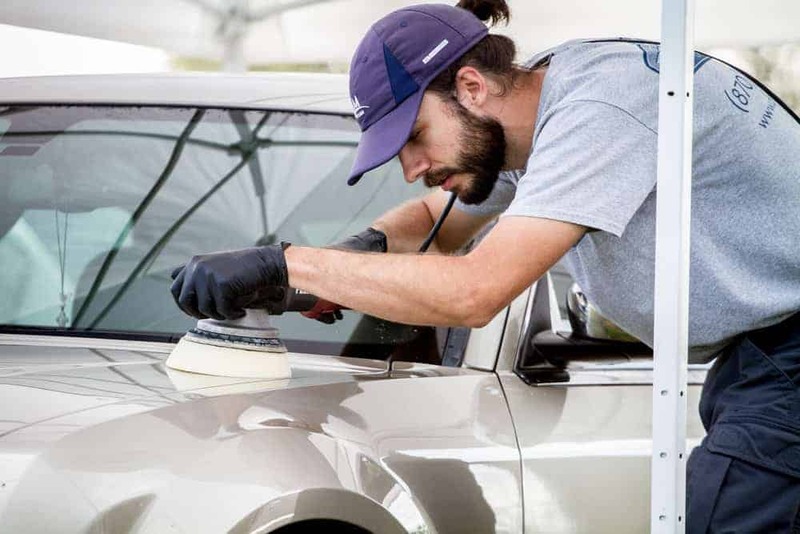 The removal of paint swirl marks in the clear coat requires time, patience, specialty equipment, and a detailing and preparation process that rivals professional custom paint jobs. But if you take the time, make the investment, donate some blood, sweat, and tears; it can be incredibly fulfilling to see the end product. In this second edition in our The Beginners Guide to Car Detailing (Like a Pro) series, we’ll outline some of the facts about paint correction for DIY’ers, explaining what it is, how to recognize the warning signs, and outline the basic steps needed to complete this project correctly. When is Paint Correction Necessary? Why is Paint Correction Important? What’s the Process for Completing DIY Paint Correction? 1. What is Paint Correction? Here’s a pretty easy to understand explanation of what professional paint correction entails. In case you didn’t know, paint correction process involves removing imperfections in the clear coat (or finish) and ‘restoring it’ to better than original condition. Professional paint correction involves a few important steps (which we’ll describe in detail a bit later). Spider webbing: This is the slang term for the swirl marks that are embedded into the clear coat of paint. It’s usually the direct result of circular washing with variable-speed abrasive towels or soaps or using automated car washes frequently. excessive exposure to blowing sand and wind. 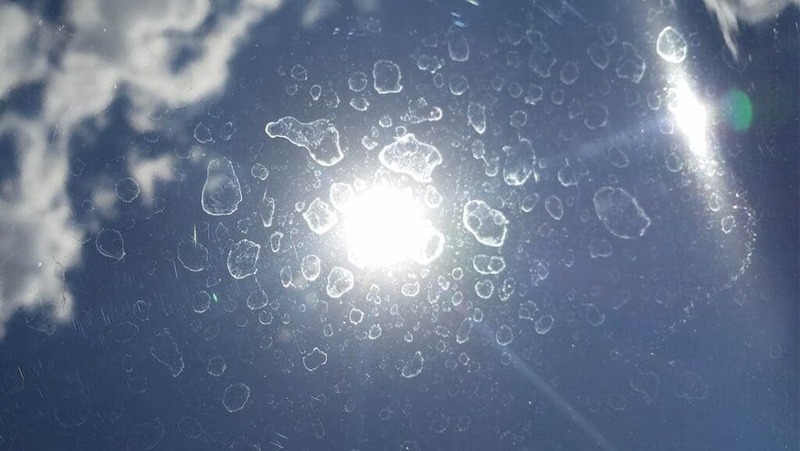 Water spots: While it’s assumed that water spots are simply a cosmetic inconvenience, they can lead to damage due to frequent exposure to direct sunlight. Water that contains salt or other types of road grime can slowly eat away at the clear coat. Add excessive exposure to direct sunlight – and you’ve got some serious paint damage approaching. Animal crap: Those damn birds, squirrels, and other critters don’t consider where to release their waste. While it’s a major inconvenience to wash animal droppings from your car, failure to do so quickly can cause damage to the clear coat; due to acids in animal waste eating away. Inexperienced Detailers: Yeah! 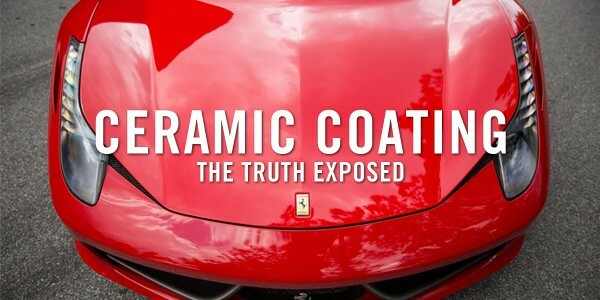 Finally, get to blame those who many believe overcharge for paint correction services. Truth is – there are some in this industry that shouldn’t – who use cheap high-speed machine polishers to detail customers cars. There are some paint imperfections that can be filled with automotive waxes or paint sealants – but essentially, it’s just putting duct tape on an open wound. In order to fix these paint imperfections, paint correction is required. 2. When is Paint Correction Necessary? Here is another pretty good video by that Mike guy – that explains paint correction vs. paint machine polishing. We talked a bit about the old Mr. Miyagi method of car washing and waxing (wax-on, wax-off) in previous articles. While this is a phenomenal way of learning karate, it’s actually the primary source of paint correction. 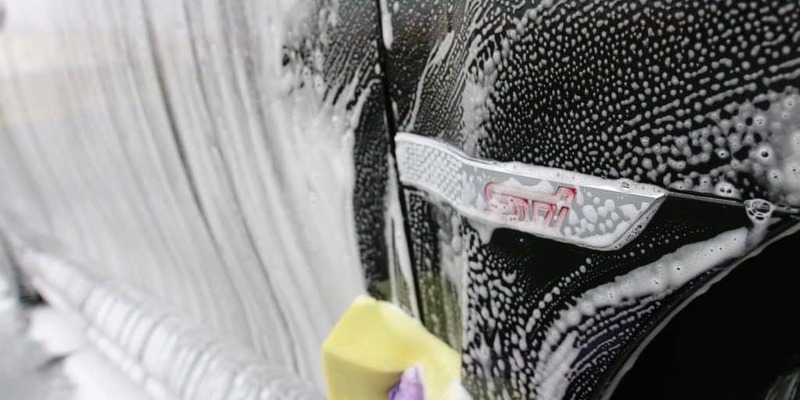 When car is being washed by hand or an automatic car wash, the concept is to apply soap (which helps to cut into the layered dirt), rub it on the surface (to break up the dirt), then move to another section. What happens when you’re rubbing dirt in the same area? The answer is simple; dirt is being ground into the surface or creating scratches in the clear coat – even when you’re using a microfiber towel. The same concept applies to car waxing. While washing a car is the first step, not all of the debris is removed. In fact, sometimes drying the vehicle with a terry towel will leave microscopic residue that is jagged-edged. When the wax-on / wax-off method is used, you’re simply grinding those loose particles into the paint’s protective layer. The only way to fix the scratches and swirl marks that are ground into the paint clear coat is through paint correction. 3. Why is Paint Correction Important? It’s generally assumed that paint correction is simply a visual enhancement, like breast augmentation for example. But, that’s not quite accurate. When your paint’s protective layer (also called the clear coat) is damaged, eventually dirt and debris will penetrate the surface. This leads to paint chipping, sun damage, and premature fading. To keep paint looking clean, fresh, and shiny, many car owners visit detailing or auto body repair facilities to have them complete paint correction – or attempt it on their own. Paint correction essentially fills in the gaps, then applies a protective layer (like a ceramic coating or paint sealant for example), that helps to reduce the potential of this occurring again. 4. What’s the Process for Completing DIY Paint Correction? So – you’ve made it this far into the article and still wish to attempt paint correction on your own? Sounds good! Just remember, the steps listed below are GENERAL in nature. It’s always recommended to consult with an auto body expert to determine whether paint correction or respray is the best course of action. Noted below are the general steps for removing swirl marks on your paint. Any other type of paint damage should be repaired by a professional – trust me on this, I’ve attempted some advanced paint correction stuff and paid the price. Watch this video before reading below – as we refer to some of the steps showcased in this video. Completely cleaning, and removing ALL previously applied wax or polish MUST be done before attempting to begin any level of paint correction project. The first step in any corrected paintwork project is prepping the vehicle. This begins with washing. If you took time to review the video above, you’ll see that they used a wax and polish stripping product called Chemical Guys Clean Slate. This stuff is actually really good, and something I’d recommended for serious automotive enthusiasts that clean, wax, and polish their vehicles frequently. Wash the car using the TWO BUCKET method (as described in the video) with a high-quality wax removal cleaner. Use a Nanoskin AutoScrub bar (or similar product) along with CarPro Iron X (or similar product). This helps to remove tiny particles trapped in the clear coat so that you’ll have a fresh canvas to work on. You’ll notice that I left out using a clay bar. Well, honestly, the products listed above are much easier and more effective at removing small contaminants – which is a huge benefit for DIY’ers. If you’ve completed the leveling step correct, it should look like the right side of this car. 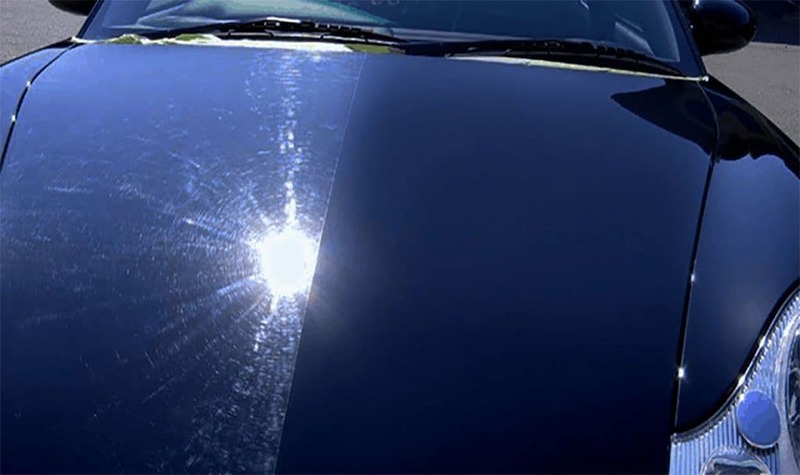 In the video, they called this phase paint correction – which is a three-step process; leveling, polishing, protecting. Here, you’ll use an electric polisher (or sanding wheel) combined with several quality microfiber cutting pads and a high-quality cutting compound. The product they used in the video (Menzerna Cutting Compound) is another really good choice for this type of paint correction project. Here are the general steps for leveling the paint surface. *Editor note (you should REALLY watch that video above to see how they apply the cutting compound, as this cross-section method is exceptional for removing swirl marks). Apply cutting compound with an electric polisher and microfiber cutting pad. Make sure to replace the microfiber cutting pad frequently – I’d suggest every six-square foot section. If you don’t replace the pad, you’re basically just digging a deeper hole. Complete this process until you’ve done the entire vehicle – or area you’re focusing on. Here is the difference in a DIY vs. Professional paint correction process. A professional would not use a cutting compound – they’d likely color sand. However, this opens up a huge can of worms if you don’t know what you’re doing – so stick with the cutting compound and “buffing” method. Polishing is the third part of the paint correction process. This step should be completed by using buffing or polishing wheels and LOTS of fresh microfiber pads. If you completed the leveling step correct, you’ll be looking at a rather dull finish. This is where the polish phase comes into play. In the video (seriously – it’s that good for DIY paint correction projects) you’ll notice they used CarPro Essence Polish, which not only polishes, but fills in tiny scratches in the clear coat caused by the initial leveling process. Always start with a brand-new polishing disk and pad. This will ensure you don’t spread excess cutting compound ‘residue’ while you’re polishing. Apply in a pattern that follows the body lines of the vehicle (they show an example of this in the video). Keep changing the pads frequently – and with each coat of polish. It’s generally a good idea to apply 2 to 3 coats of polish on a recently leveled clear coat. At this point, the actual paint correction has been completed. However, the job is far from finished. If you’ve followed each step, and took your time, it’s quite possible that you’ve done a pretty good job of removing the paint swirls on the painted surface. Now comes the paint protection step – which is arguably the most important as it will set yourself up for either frequently repeating all four steps or chillaxing and enjoying a showroom shine with an exceptional layer of protection. In the video, the guys used a water-activated wax product, that when activated provides hydrophobic (water repelling) properties. The other option is to complete a traditional car sealant + wax treatment. The problem with both of these methods is they will both wear out sooner than you’d like (likely less than a month or two), leave your already thin clear coat exposed to the elements – and require constant maintenance. The other option (not discussed in the video) would be to apply a high-quality DIY Nano-ceramic coating (like Armor Shield IX for example). A Nano-ceramic coating provides an incredibly hard layer of protection, that fills in the microscopic peaks and valleys found in the paint surface. It’s also the best way to extend the lifespan of your paint. Further, a professional grade DIY ceramic coating can last up to five years. A professional detailer can charge up to $2,000 for some paint correction services. While there are certain projects you want to leave to a professional, the methods and steps we listed above for removing paint swirls works quite well. The important item you need to consider is how you’re going to prevent this from happening again. Take some time to learn more about DIY Nano-ceramic coatings; as you’ll quickly discover why it’s becoming the product of choice for not only protecting your vehicle – but also making it easier to wash and producing a long-lasting brilliant shine. 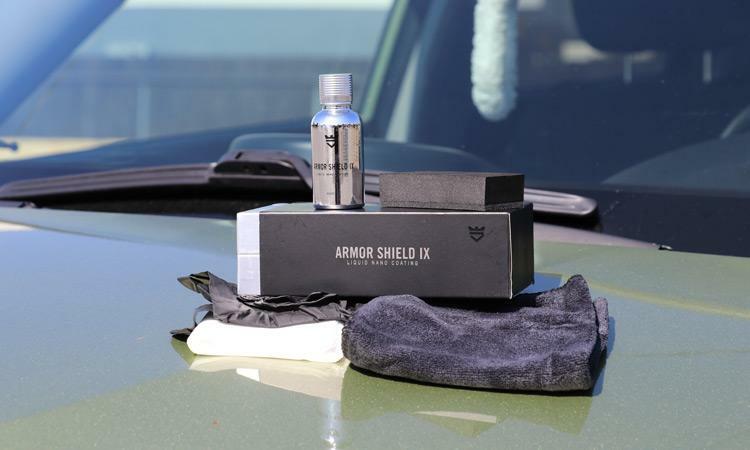 If you enjoyed this article, then you’ll love AvalonKing’s automotive care products for Do-It-Yourselfers. We create “No B.S products” for an affordable price. And the best part, we treat our customers like family, so if you have any questions or just looking to chat about cars, we’re only an email or call away. Check out our homepage here. Tim is part of the AvalonKing team as a content editor. A 30-year automotive guru, marketing super freak, and accomplished publicist & columnist, “Timmah” is also a licensed NHRA Drag Racer, a proud dad of two, and loves a good Guinness two-part pour.